Grid HQ is delightfully close to Reading Terminal Market. This is great for many reasons—most notably the breadth of cheap, delicious lunch options and our proximity to the Fair Food Farmstand, locavore mecca extraordinaire. But there's not a lot of great beer in this hood. And we're a crew that love us some good (preferably local) brews. 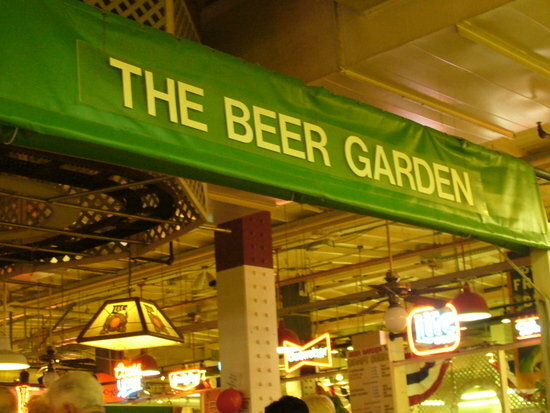 Like the staff over at Foobooz, we've long harbored fantasies of a revolution at the Beer Garden in RTM. It seems a sin that, in one of our city's local food showcases, options are limited to Miller Lite and Stella. Well, it seems something is going to happen at the Beer Garden. According to The Insider, Vinnie and Jimmy Iovine (of Iovine's Produce) have purchased the space and are planning a gastropub-style makeover. The transfer of ownership will take place when the brothers’ liquor license application is approved—possibly within 90 days.